(Natural News) A new study discovered that the mix of microorganisms that dwell in a person’s saliva is largely determined by the human’s household environment rather than genetics, reported Science Daily. 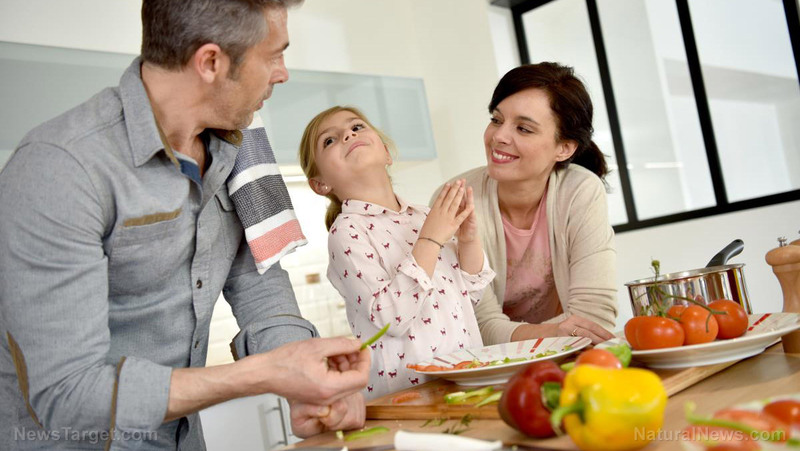 The study, published in the journal of the American Society for Microbiology called mBio, showed that household environment had a larger role than human genetics in shaping the salivary microbiome — the group of organisms that plays an important role in oral and overall health. “It’s generally becoming known that there’s a link between our microbiomes and our health and that’s reason enough to find out what’s in there, how they arrived there, and what they are doing,” said Adam P. Roberts, co-leader of the study and a senior lecturer in antimicrobial chemotherapy and resistance at the Liverpool School of Tropical Medicine. The study was conducted during his previous post at the University College London (UCL) Eastman Dental Institute. The team wanted to find out how the salivary microbiome gets established and which factors are most responsible for the mix of bacteria found there. A unique sample set of DNA and saliva from an extended ultra-orthodox Ashkenazi Jewish family living in different households across four cities on three continents was studied as Andrew M. Smith, a colleague of Roberts’ and a UCL immunologist, had access to it. The family members shared cultural diets and lifestyles that control for many confounding factors. In addition, the researchers had a unique and precise measurement of the family members’ genetic relatedness because their DNA had already been sequenced to the level of single changes in the DNA code. The team then sequenced the bacterial DNA signatures present in saliva samples from 157 family members and 27 unrelated controls. They found the core salivary microbiome made up of bacteria from the genera Streptococcus, Rothia, Neisseria, and Prevotella. Then, they used statistical methods adopted from ecology to determine which factors — shared household, city, age, and genetic relatedness — are responsible for the most variation. The factor that determined who shared the most similar saliva microbes was overwhelmingly household. “What that tells us is that the contact and sharing of microbes that goes on at the very local environment is what determines the differences between individuals,” Liam Shaw, a graduate student from UCL, said. Spouses, parents, and children below 10 years old living in a household together had the most similar saliva microbiomes. “The contact doesn’t even have to be intimate, like kissing. Individuals’ hands are covered in saliva and they are touching everything in the house,” Roberts said. Smith, for his part, said in a Seeker article that tooth brushing will transfer saliva from the brush to the hands and covering the mouth with hands during coughs, sneezes, and certain other instances can also lead to transfers of saliva. The team also studied whether genetic relatedness drove the makeup of the saliva microbiome by measuring based on family tree relationships alone and using the genetic sequence information. They found that a person’s genetics played virtually no role in shaping their saliva microbes. “Pedigrees do not always precisely reflect actual genetic relatedness in terms of the amount of genome shared,” said Shaw. “Once we understand the members of the microbiome that are responsible for our health, our everyday behavior could change to shift our microbiome favorably,” Roberts explained. Read more news like this at HolisticDentistry.news.